22yo Melbourne born rapper/songwriter James Burgoyne aka ‘Frame’, takes you along on his journey of learning self love and how that translates to your ability to love others. Frame’s melodic, vivid & vulnerable song writing gives you an open invitation into his mind. The constant stream of newly released music comes along with it a clear sign of progression; musically, emotionally & spiritually. Performing & releasing music since 14, Frame’s carved himself out a defining sound & will no doubt continue to grow his cult like audience that he can continue to influence as he himself matures. Frame’s single ‘Not Your Fault’ released in July 2018, was his first single added to Triple J Unearthed rotation, shortly followed by his single ‘Better Off (feat. Figuero Jones)’. Also having being featured on several of Australia’s biggest music blogs i.e Project U, Purple Sneakers, All Aussie Hip Hop & Pilerats. As well as local blogs Issa Rap, The Local Frequency, Eat This Music & Off The Clef etc. Placing in the top 100 at the ‘Listen Up Songwriters Festival 2018’ is also a testament to Frame’s songwriting ability. 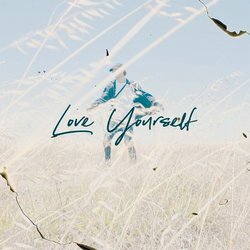 His new single ‘Love Yourself’ is not shy of being an example of that.